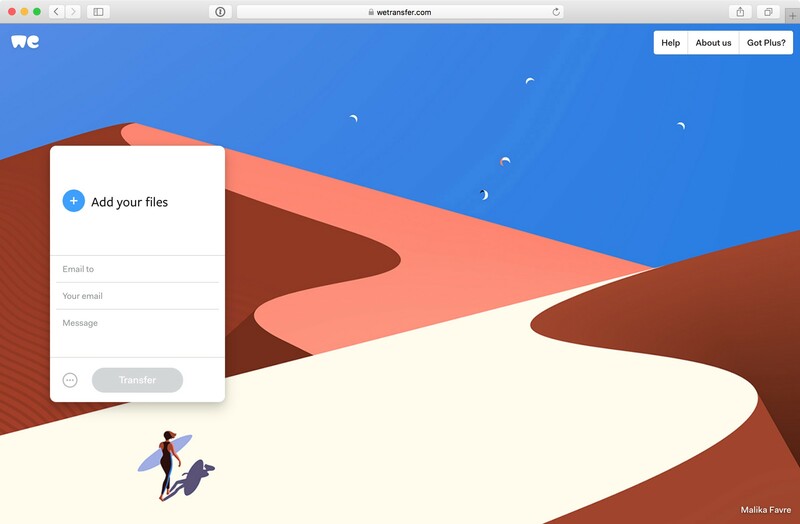 You may have noticed that we have rolled out a fresh-looking new WeTransfer. This is a quick rundown of the most notable design changes. Wasn’t it just fine as it was? That depends on your definition of ‘fine’, I guess. 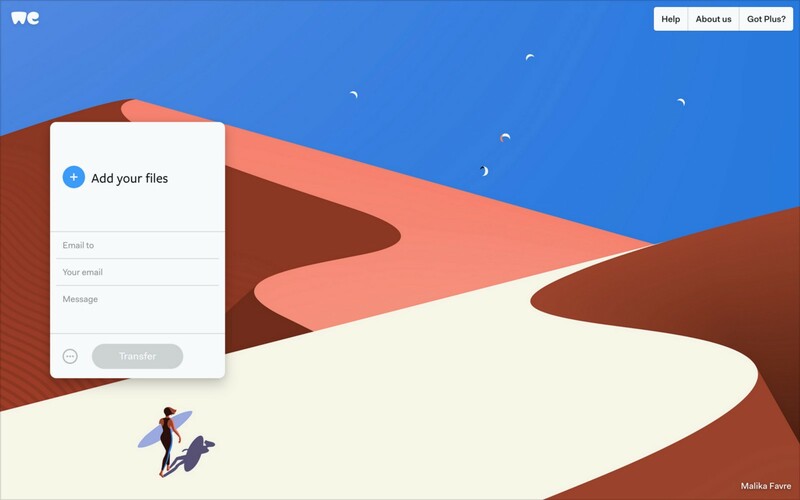 WeTransfer’s simplicity and ease-of-use has drawn millions of people in, turning numerous users into fans. But the site had its limitations, both in terms of tech and design. The new site is built on a new design architecture and an impressive new technical foundation. It’s flexible, scalable, and continuously improving. It also looks a hell of a lot better. How does the new compare to the old, you ask? And this might actually be a good thing. If you liked the old version, you’ll hopefully enjoy this one just that little bit more. But many people also experienced certain aspects that were not so great. For them, this release will make a significant difference. The previous version of our site had its navigation menu hidden behind a little label on the side of the transfer box. Not very intuitive, and many people never knew it was there. The option to get help, information, or to essentially do anything beyond transferring was largely and unintentionally ignored. Not an ideal situation, as I’m sure you will agree. Where would you expect a menu to be? Obvious, right? The best products are brimming with no-brainers. Open any of the links in the menu and a new, comfortably-sized panel will slide in from the side. We’ve bundled a number of informational pages under ‘About us’. These open in a wide panel, using the entire screen, save for a narrow strip of wallpaper (the background images you see). For some options, the panel only slides halfway across so you can still access the transfer box. So for example, if you get stuck while trying to send or receive something, your call to help will open next to the box you were working in. One primary aspect of Plus is a transfer overview. The new panel offers ample space for this, and the list makes way for transfer details to fill the panel. With the canvas that we now have available, it’s much easier to imagine how an overview as this could evolve beyond this fresh start. We know that our users love personalization. 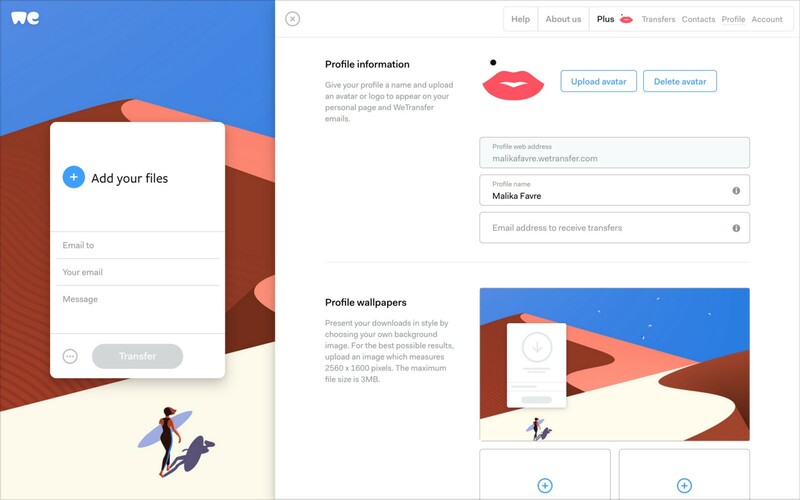 Plus allows you to tailor the WeTransfer experience with your own wallpapers and email backgrounds. In the old version this was done in a separate browser tab, away from your main screen. Not the most elegant way, and mildly confusing. 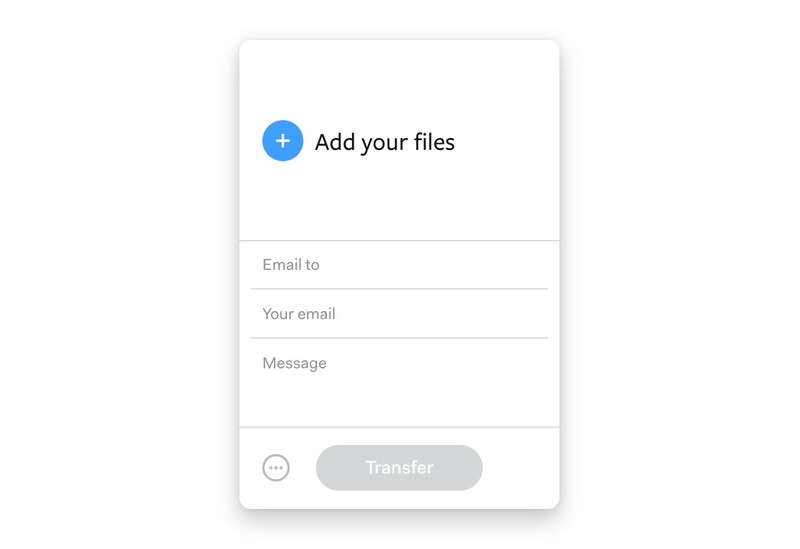 The new WeTransfer pulls everything back into a coherent interface that allows you to stay in your flow. 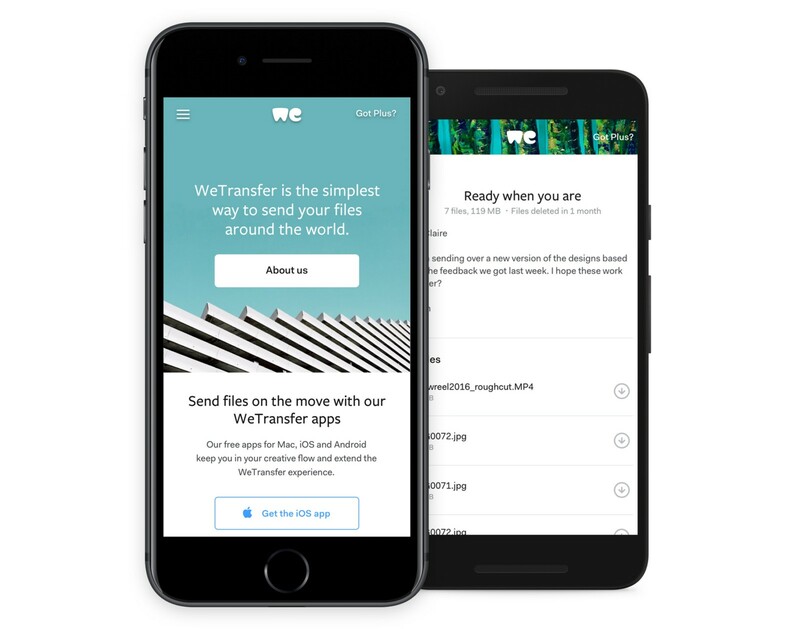 The way people use WeTransfer varies significantly. Whether it’s one file or 1,000, to a single person or a large group, accompanied by just a few words or a lengthy message– it’s all done in that one small box. How do you fit that all in there? The short answer is “you don’t”, in many cases. So, then what? There are a million ways to go, each with their upsides and downsides. 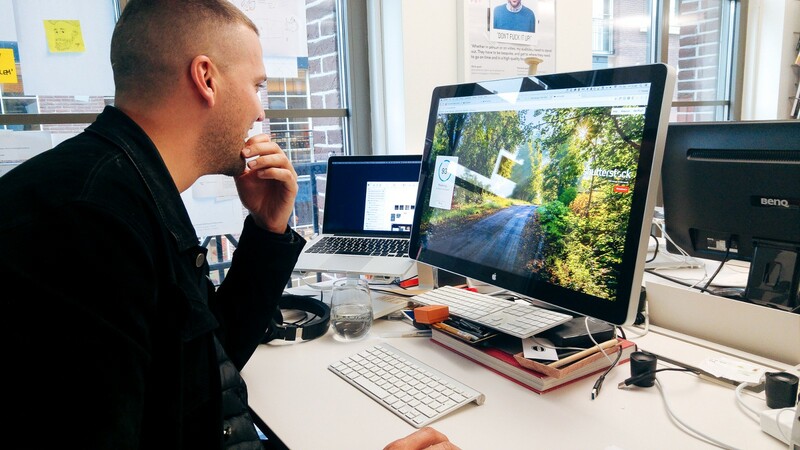 Keeping WeTransfer simple is quite a challenge for us as designers. It’s a fun challenge, though. For a start, we made the box slightly bigger to accommodate lengthy file names and email addresses. Another change that we made has to do with the sections within the box. The previous site treated each of these very individually, with tiny scrollbars appearing in each section as its content outgrew its container. We now let these sections grow to fit their contents, which makes it much more enjoyable to interact with. A significant benefit of this approach is that we can now let the message field grow as you write your message, allowing for a much better view of what you’re writing. When you send a bunch of files via WeTransfer, everything is wrapped into a single zip file. That can be very convenient on the receiving end, with everything being neatly collected in a folder after unzipping the download. The downside is that zip files are a huge inconvenience on mobile devices. While you might be okay on Android these days, “Computer says no”, when it comes to downloading zip files on iOS. And then there’s the data being eaten up, downloading an entire transfer just to get to that jpeg preview that you’re most interested in. 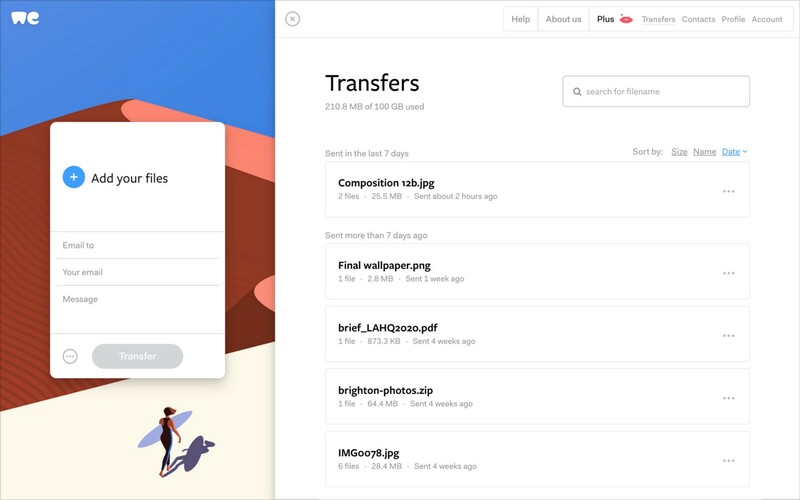 With the new WeTransfer, every file sent is available as a separate file to download. It’s yet another change that feels so obvious, and it will make a huge difference for millions of people every day. There’s much more to talk about, of course, but I don’t want to keep you. So go ahead and give it a go. I hope you will enjoy using the new WeTransfer as much as we do ourselves. Everybody who has been involved should be incredibly proud of what we have launched today. Thank you! We’d love to hear any feedback you have, so please get in touch here. Thanks to Mirte, Thomas Schrijer, and Laszlito.